The pattern looks very similar to the last FOMC statement in mid December. 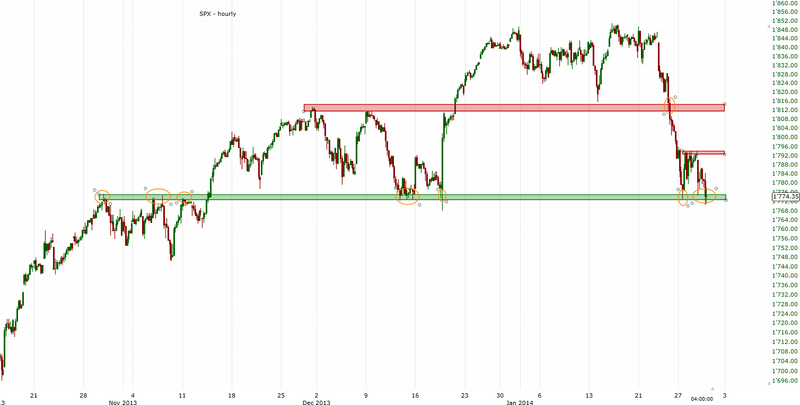 Back then after an initial decline to below 1770 the SPX rallied to 1820 by Friday. Let's see if we get a similar rally tomorrow or if we decline below 1770 and aim for 1750.